vastu reading is a valuable tool if you are looking for greater abundance, more harmony, more creativity, empowerment, and better social life. What if you could find a perfect vastu house plans that bring you good luck at your doorstep, opportunities banging your door for years and years. Imagine Prosperity and good luck flowing throughout the house while you enjoy good fortune in all your relationships & success in your interactions with people. 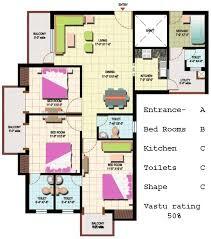 Vastu evaluation composed of definite and countless easy to implement vastu suggestions. Vastu reading is the best way to get first-hand vastu status of your current or proposed property. The offer price for virtual consultation is Rs.7500/- (Actual Consultation Rupees 12500/-) and can be payable thru PayPal or online payment method. Please note that the Virtual Vastu Consultation fee is non-refundable. Click here to send your plan or details for Vastu Reading.